Services | Chapter T.W.O. Inc.
Chapter TWO, Inc. provides gang prevention and intervention services to youth and young adults between the ages of 14 – 25. Certified staff members work with youth and young adults and engage in community group’s institutions and individuals to keep youths out of gangs. Services include; case management that targets the highest at-risk youth and their families which includes counseling, mentoring, parenting classes, anger management and life skills training; Chapter TWO, Inc. organizes activities such as sports and recreation activities, art programs and field trips. Gang intervention workers work directly with gang members to assist with conflict resolution, provide information, and give referrals and crisis intervention to defuse potentially violent situations. Intervention also includes the maintenance of a long standing “cease fire” agreements between the largest and most active African American gangs and Hispanic gangs in South Los Angeles. 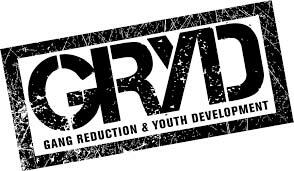 The Office of Gang Reduction and Youth Development (GRYD) was established by Mayor Antonio R. Villaraigosa in 2007 in response to the City’s most gang plagued communities. In addition to an increased deployment of police, the GRYD zones will receive additional resources focused on prevention, intervention and re-entry programs for those involved or otherwise affected by gangs. Anne C. Tremblay is the Director of the Mayor’s Office of Gang Reduction and Youth Development (GRYD). She has been serving as Interim Director since December 2013 and was previously an assistant city attorney for the Office of the Los Angeles City Attorney where she supervised the Anti-Gang Section. Foundation) working with the City of Los Angeles Mayor’s Office of Gang Reduction & Youth Development and the Department of Recreation & Parks to create safe, healthy and strong neighborhoods throughout Los Angeles. Summer Night Lights has become a national model for combating gang violence and promoting positive youth development. Chapter TWO, Inc. provides active support for SNL at Mt. Carmel Park and Green Meadows Park with staff presence at each location. Chapter TWO, Inc. has an open door policy to the community. We service walk-ins on a daily basis to provide services and referrals to community members. Frequently high-risk youth, gang affiliated youth and community members are welcomed by our Community Intervention Workers, Case Managers and other staff to receive “on the spot” support and mentoring. Students walk in for academic guidance, homework support, referrals to alternative schooling and advocacy for probation personnel, and school teachers and/or administrators. Call today to speak with one of our Case Managers in our Field Office. and gang related crimes, we offer various workshops to deter anti-social behaviors including Peer to Peer Support, and facilitate Youth Groups in local schools and community centers and/or libraries. gatherings for youth as well as opportunities to volunteer for service hours. For upcoming events please call our Field Office. If you are interested in sponsoring a youth program or youth excursion, please click on the link How You Can Help for more information.